Woot's deals change each day. Click here to view all of Woot's deals all on one page. Start the new year by standing at your desk! Join the latest craze by getting a Cool Living Standing Desk! LOL Surprise Biggie Pet - you know your kid will like it! LOL is what your kids will be saying once they open thing toy! Start thinking for summer and get that patio ready! Walker Edison Eucalyptus & Rattan Outdoor Patio Chairs, Set of 2! You always need batteries around, so get them while they're cheap! Get the job done quickly with a nailer/compressor combo! The Porter-Cable Nailer/Compressor Combo Kit gets the job done cheaply! Canon Rebel T6 DSLR w/ 2 Lenses! Really?! You need a new pillow. Yes, you do! MyPillow Corded Classic Pillow - you pick the style and size! Time for a new headset! Upgrade your sound with the Logitech Stereo Headset H110! Save space with this tiny computer. The Lenovo M93P Intel Core i5 Tiny Desktop fits that description. Italian sheets to get that restful rest. Italian Hotel Collection 1000TC sheet set for your comfort. Serve in style, at a low price! Show off with the Wise Company 160-Serving Bucket! …with the low priced ASUS GeForce 4GB!!! Bring the theatre feeling home with a projector! Optoma 4K Smart Home Theater Projector for movie night! January 25th ONLY! 30% off Woot apparel. Wanna rep Woot? Get the gear for 30% off on Jan 25 with code! Want a MacBook Pro at a decent price? So What is Woot! Exactly? Originally called W00t, Woot! in America is an internet retailer and was founded on 12 July, 2004 by Matt Rutledge, an electronics wholesaler. It was also initially run out of Dallas, Texas where they only had one product on discount, per day; usually a computer hardware piece or electronic gadget. This product was offered until it was sold out, or replaced by another at midnight Central Time. On 30 June, 2010, they announced an Amazon buy-out. A “Woot-off” is when they do a full day’s unannounced bargains, sometimes even every half-hour. When the special item is sold out, it will be replaced within minutes. It’s beneficial to check in regularly during this time. Bags of Crap are a bunch of random items, packed in a box and sold. This can be anything from a laptop to any “crappy” item. Today Woot! offers daily specials and limited-time offers, ranging over ten specialty bargain pages: Home & Kitchen, Computers, Electronics, Tools & Garden, Fashion, Kids & Toys, Sports & Outdoors, Shirts, Gourmet and Clearance. Customers are limited to three items per day. There’s no real need to type in any coupon code at the Woot!’s website checkout page. This online retail outlet’s speciality is to deliver exclusive deals and discounts to its customers every day. The special prices are automatically updated when you check out and see your final purchase price. This ensures that any customers will never miss the daily special just because they had no knowledge of the right coupon or the right promotion coupon code, or they didn’t have it near when they have to check out. Woot! promotes making life easy when they endeavour to give the best online bargains. Therefore, no more jumping through hoops to make those deals yours! All you need is to sign up to a free Woot! account to start shopping at Woot!, sign in and then start browsing their amazing deals. Have an Amazon, Facebook or Yahoo ID already? You can even use them to sign up to this amazing online site. How To Connect With Woot! The main digital connection to Woot! would be through the Home page to their website at www.woot.com where you will find a vast selection of information from all about Woot!, the products currently on sale with their applicable prices, customer care, contact sites and even frequently asked questions where those uncertainties can all be cleared. We are also available at our Facebook page that has been up and running since 2010 at https://www.facebook.com/woot/ where you can find daily postings and or photos of our latest and best deals available with their prices. This is also one of their forums they use to keep you up to speed with new developments at Woot. At their Twitter page at https://twitter.com/woot since 2007 you can find tweets about us and our latest offers. You can write to Woot! 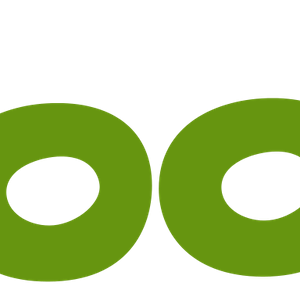 at email address: support@woot.com and have make your voice heard. Woot! vouches that you may return most of the items bought from them on the condition that the return takes place within 30 days of the delivery of the item for a full refund. If the return isn’t due to damage or flaw, the prepaid return shipping cost will be deducted from the refund amount and is in effect from the moment that Woot! takes reception of the returned item. You can set your own return of the products in motion if it happens within 30 days of order, cost more than $20 and was either damaged, non-functional or incomplete upon arrival. In this instance you may print the return label from the Stuff You Bought page. Items that were ordered from Gourmet, Shirt.Woot, clothing or items delivered by freight carrier cannot be returned by self-service and you must rather visit their Support page for help to start the return process. There are some cases where exceptions may be applicable: Clothing and shoes, food and products with limited shelf life, hazardous materials, certain batteries, heavy or bulky items and combined orders are all conditional and you can learn more about that from our page at Woot! FAQ. Bags of Crap have a no return policy… they don’t want it back!